Researchers at hospitals and universities in Philadelphia and Salt Lake City will test T-cell immunotherapy strategies in children with neuroblastoma, a solid tumor cancer that occurs in children. The $550,000 grant from the ACT FAST (Adoptive Cell Therapy For Adolescent/pediatric Solid Tumors) initiative funding the trial is provided by three foundations: Solving Kids’ Cancer, the Pierce Phillips Charity, and the Catherine Elizabeth Blair Memorial Foundation. Neuroblastoma is a cancer that develops in children usually age 5 and younger from immature nerve cells, and can occur in several parts of the body. The disorder often occurs in or around adrenal glands near the kidneys, but can also occur elsewhere in the abdomen, chest, neck and near the spine, where groups of nerve cells exist. Solving Kids’ Cancer says children with neuroblastoma generally have a poor prognisis, with the disease responsible for 15 percent of all childhood cancer deaths. 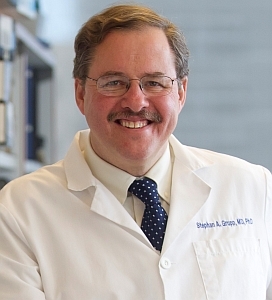 Stephan Grupp, a pediatrics professor at Children’s Hospital of Philadelphia will lead the trial, in collaboration with Michael Pulsipher of Primary Children’s Medical Center and University of Utah in Salt Lake City, and Carl June, translational research director at the Abramson Cancer Center at the University of Pennsylvania. The study will test transiently modified T-cells in children with neuroblastoma, adopting a therapeutic strategy that uses a patient’s own T-cells to attack tumor cells. A similar strategy reported last month online in the New England Journal of Medicine used bioengineered T-cells, in combination with disabled HIV virus, to trigger an immune response that attacked leukemia cells in two children that sent their disease into complete remission, with no evidence of cancer cells in their bodies. Grupp was first author of the paper, with June leading the study.